Eric and Arthur are back to break down the Week 6 slate, and believe it or not, the Rams traveling to Jacksonville to face the Jaguars is one of our more compelling match-ups. The guys look at the Adrian Peterson deal and what it means for Arizona and New Orleans. 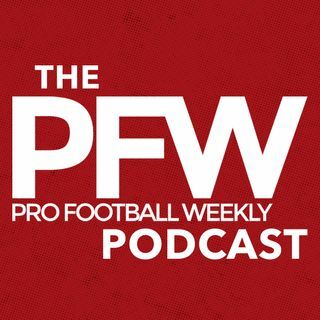 PFW discusses the Vikings' QB puzzle and upcoming divisional showdown with the Packers. And if the Rams and Jags intrigue didn't signal the NFL is weird, the guys ask with a straight face: Can Big Ben's Steelers keep up ... See More with Alex Smith's Chiefs?